Cleaning solar panels may not increase efficiency | West Coast Solar, Inc.
One piece of conventional wisdom that gets passed around among Bay Area solar circles is the notion that solar panels need to be routinely cleaned, or homeowners who have rooftop PV systems will experience a loss of efficiency. The idea is that dust and dirt accumulating on the surface of the panels blocks sunlight, thereby decreasing the amount of electricity that you get out of the system. Therefore, it may be necessary to contact a contractor who can come to your house and wash the panels every now and then. But a new study from U.C. San Diego indicates that this may not be necessary. Researchers compared the efficiency rates of solar panels that had been cleaned regularly with those that had been left alone during a 5-month drought and found that there was virtually no difference. The rooftop systems that hadn’t been cleaned experienced a 7.5 percent drop in efficiency over the period, meaning that each day without rain or washing equated to a .05 percent drop in efficiency. Systems that were cleaned regularly saved their owners about $20 in electricity costs, which didn’t come anywhere near offsetting the cost of hiring a contractor. Something to keep in mind is that these conditions may not hold for larger systems, which produce considerably more electricity. In such cases it may be worth the cost to have the panels cleaned, as the savings may be in the hundreds or thousands of dollars. 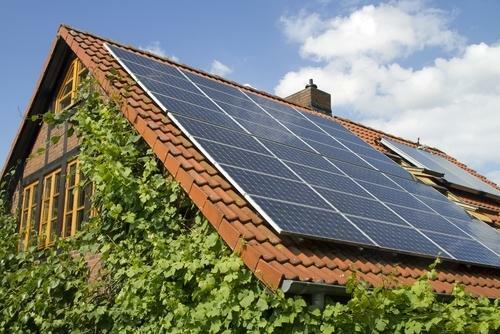 But homeowners who have invested in going solar can save more money by simply leaving their systems alone and letting the rain wash them in the spring and fall. For more information on how your family can benefit financially from rooftop solar panels, contact West Coast Solar today!